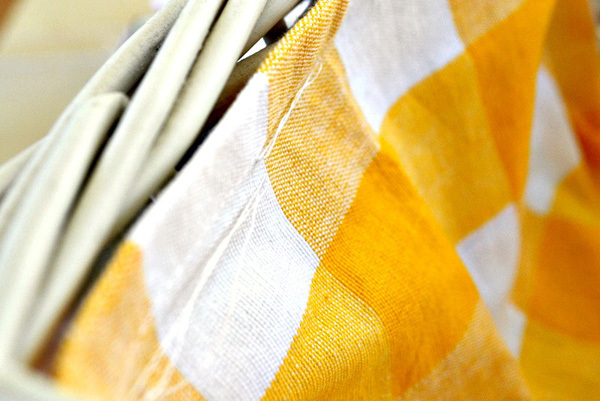 Have some old baskets and tired fabric that you don’t know what to do with? 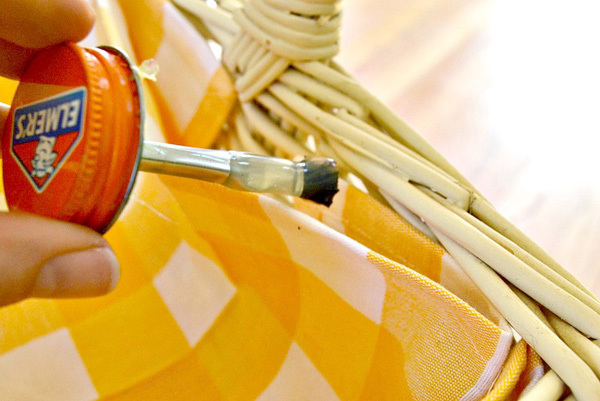 Put these two items together to instantly transform boring baskets into something unique and beautiful! 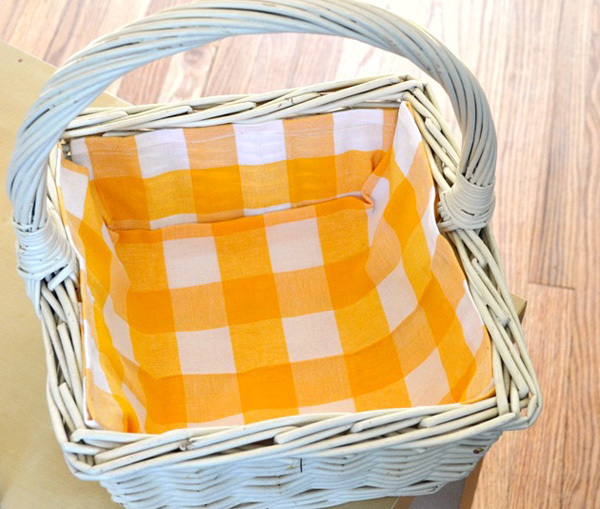 This easy, very cheap DIY project can brighten up any basket in your house with materials you have lying around. 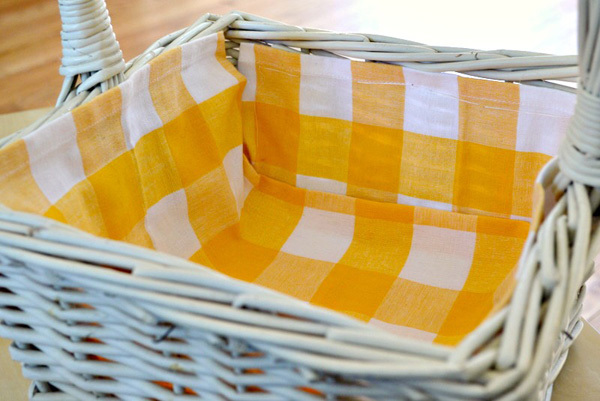 These fabric-lined baskets make perfect bathroom organizers, magazine holders, living room decor or even kitchen accessories. 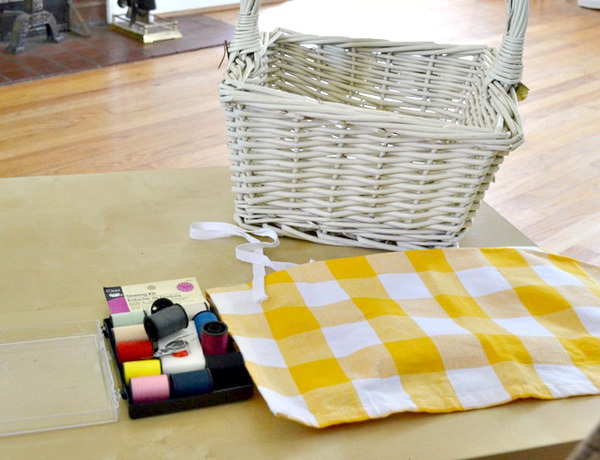 If you have a basket and some fabric on hand, this DIY can cost as little as $5. 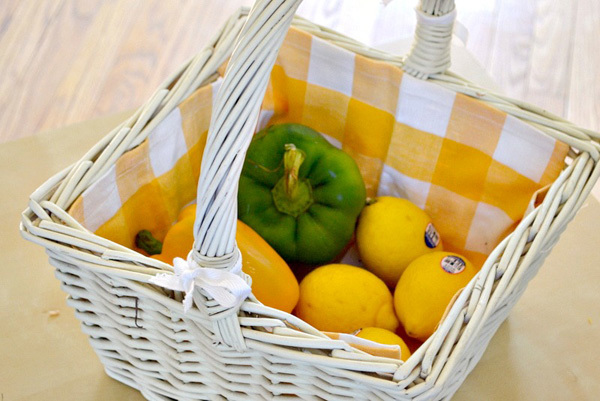 Since many linen- and fabric-lined baskets can cost up to $40, this DIY saves you $35. Here’s what you’ll need and how you can make it. 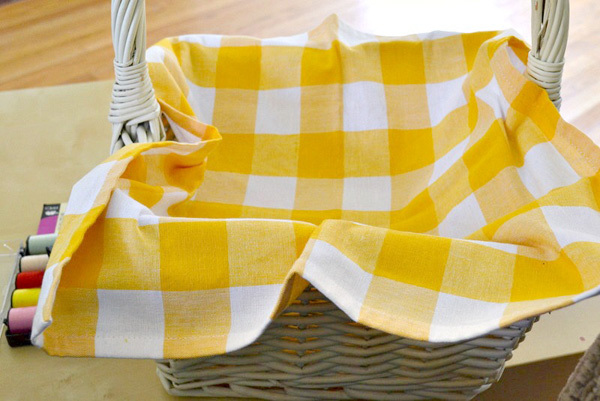 Line up the edges of the fabric/napkins with the edges of the basket. Cut the fabric so it fits right underneath the rim of the basket. 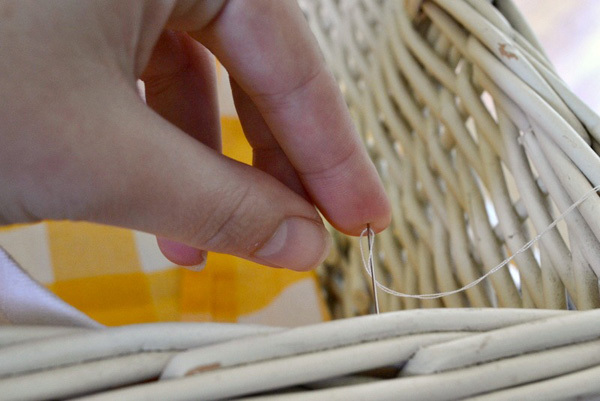 Using your needle and thread, string the thread through the fabric and weave in the basket; repeat until you’ve stitched the top hem of the fabric to the rim of the basket opening. 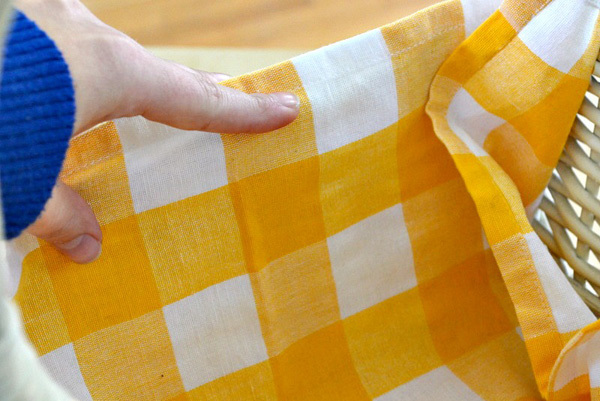 After you’ve applied glue to the fabric, hold it in place tightly for at least 5 minutes, or until it sets. You may want to stitch through it again to keep it in place. 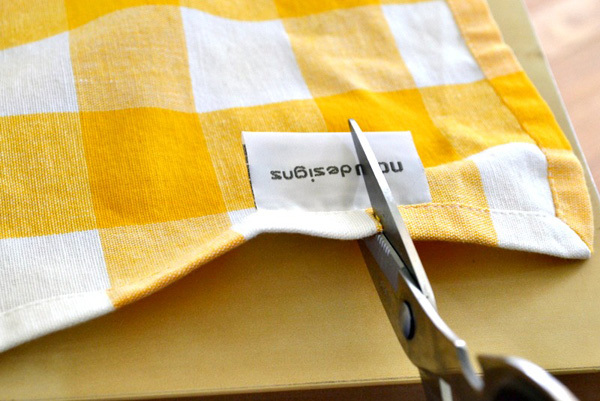 If you are using napkins, lay the second napkin over the first one so you can fill the opposite side that the first napkin didn’t fit. As you’ll see, the second napkin is layered perfectly over the top of the first one. Stitch and glue so that it’s secured tightly, and the bottom and four sides of the basket are covered in fabric. Step 3: Accessorize and fill! Add your final pieces of flair, like bows, gems or glitter, and fill with whatever you’d like. I added two small bows and I filled it with non-refrigerated produce. 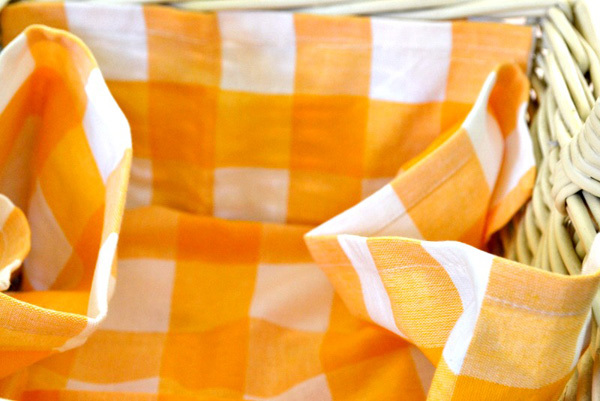 Easy and pretty, the perfect DIY project!